Its not like the biscuits take much effort. I don’t make them from scratch. I use Bisquik and milk. And I don’t even cut them into perfect circles. I just plop them onto the cookie sheet and make drop biscuits. But they are still good. And I’m still super proud of my baking efforts. Scratch that — I was proud of my efforts. Until I came across this masterpiece recipe on Girl versus Dough. Doh! Are you kidding me?!? Pig shaped buns? Stuffed with sausage? Come on! This chick probably doesn’t even own a box of Bisquik. No, she is so awesome she probably invented Bisquik. 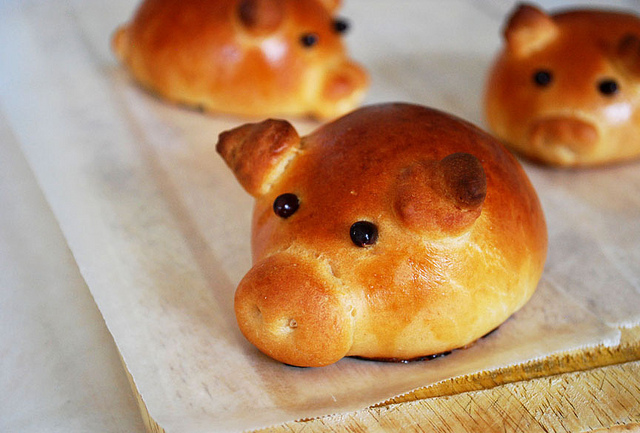 We are far beyond the land of Betty Crocker when it comes to these magical pig shaped buns. What a show off. I’m just kidding. I’m super impressed and love the idea of sausage stuffed piglets. At first I was determined to go back to the kitchen and attempt some piglet shaped biscuits. But the more I look at the batch I already made, the more I am realizing… they already look like pigs. An abstract version. Maybe a little butchered, but abstract pigs nonetheless. And this Betty Crocker is okay with that. 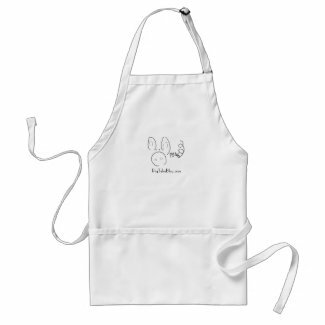 This entry was posted in Home Sweet Home, Make it Yourself, On the Web and tagged Betty Crocker, Biscuits, Bisquik, bread, Buns, Butcher, food, humor, Pastries, photography, pig, pork. Bookmark the permalink. Yum, I love biscuits and coffee. I am even lazier than you, though. I buy the frozen Pillsbury Grands Southern Style biscuits. Brush a little butter on them halfway through baking and they taste pretty darn close to homemade.